H: September 28, 2012: I'm off to Paris for the weekend. No, not the city of lights. That would have been in my pre-flyfishing days when I might have jetted off to Paris, France for some cultural and culinary adventures. These days, it's all about the fishing! So, I'm flying/driving to Paris, Ontario, Canada for the Grand River Spey clave. 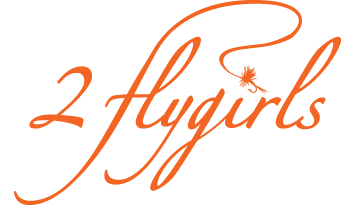 This flygirl is on a mission—to find the "One," my perfect match. I know he'll be around 13-feet tall :). I've narrowed the field down to a 7- or 8-weight with a few specific models in the running. I know that when properly lined, it will feel like magic in my hands. There will be an indescribable sense of rightness in the fly fishing universe ;). Besides meeting and hanging out with fellow speyniacs including my good friend, the easterncaster, I look forward to exploring the beautiful great lakes region, fishing some of its waters including the lower Niagara river and of course the Grand, and hopefully interviewing some fish (that's easterncaster speak :). It's sort of a fishing free-for-all right now with the possibility of catching just about anything: rainbow, brown and lake trout, chinook and coho salmon, bass, walleye, mooneye, steelhead... the possibilities are endless. Wish me luck! Grand River riverfront in Paris, Ontario, Canada. Photo courtesy of Balcer.